What Ski Holiday Extras Do I Need? So much of catered chalet holiday is included already, such as flights, transfers, breakfast, afternoon tea and evening meal with wine. However, any skiing holiday requires a lift pass, and often ski equipment hire and ski school as well. We outline the options below, as well as some of the other factors to consider. 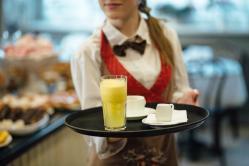 Most chalet companies allow you to pre-book extras. It’s not always less expensive, but does make your arrival in resort simpler, plus you can budget for the exact cost of the items, rather than being at the risk of exchange rate variations. Unless you are a beginner (see our advice below), you will need a lift pass. Some chalet companies offer great deals on pre-booked ski packs, which are always listed on our ‘Offers’ page. Offers can include ‘2 for 1 Lift Passes’ or ‘Free Hire For Kids’ and are often early booking offers. It’s worth checking what’s available before booking your chalet and resort. Local or Full Area Lift Pass? Many resorts are part of a wider ski area (e.g. Courchevel is part of the huge Les 3 Vallees area). Which pass you buy will depend on both your ability level and your budget. If you’re unsure what’s right for you, then just call our team for their advice. Some resorts offer a local pass, but with one day’s area skiing included (e.g. the Paradiski Discovery pass). You can upgrade a local pass to a full area pass during your stay, usually by the day. So if the weather’s good and you’re feeling energetic you can take a day to explore the full area. If you’re going to go further afield more than once, then check the prices – you may be better off getting the full area for the whole week. Younger children ski free and do not require a pass at all. 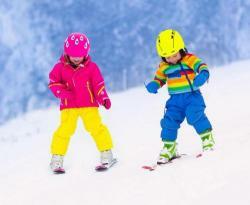 The age threshold is usually five, but some Austrian resorts offer free passes for children under 8 years old. Child passes are quite a bit cheaper than adult passes, and some resorts also offer ‘youth’ rates for teenagers. Family passes are also worth looking into for families of four or more. There are discounts at the other end of the age scale as well - Seniors (normally 65+) also enjoy better lift pass prices and can be pre-booked. Don’t worry about all the choices - the Chaletline team will do all the work for you and advise you on the best options for your family ski holiday when you make your booking. We understand that not everyone who goes to resort is a skier. Sometimes child carers or grandparents join a group simply to enjoy a holiday together. Non-skiers can still use the lifts to enjoy the mountains or join others in your party for lunch or simply enjoy the magnificent views. For some of the larger lifts, such as cable cars and gondolas, you can buy individual tickets or alternatively there are week-long passes available as well. If you are travelling at a peak or shoulder season date, we strongly recommend that you book your tuition in advance. There are a finite number of ski instructors, so in high-season dates like New Year or February half-term, many ski schools will be completely full. 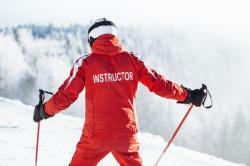 We can advise the recommended ski school for your resort by your tour operator. Or you can explore the options and book direct with a school that you feel suits you better. Most ski schools offer online reservations so it really couldn’t be simpler to book or we can help arrange this for you. If this is the first time skiing for you or someone else in your party, then you should watch out for ‘First Time Skier’ bundles. These typically includes equipment, lessons and appropriate lift pass. Any package will depend on the particular resort, so do check with our team. We usually suggest that beginners do NOT pre-book their pass as the lifts on the nursery slopes are usually free of charge. That means you often don’t need to buy a lift pass until part-way through the week, when your instructor is ready to take the class higher up the mountain. Bear in mind that most ski pack items can only be purchased in 6-day blocks. If you are only looking for a 3-day lift pass, or 7-day pass because you are arriving in resort early, then you are better buying on arrival. Some chalet companies will offer an overall price that includes lift pass and ski rental or ski carriage. This is often a better price than buying a standard holiday and then adding the ski packs separately. If you plan to take your own skis or snowboard you should be aware that these must be pre-booked. Ski carriage charges average around £35 return. 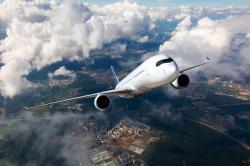 It may be possible to book them onto the flight at check-in depending on available space on the day but the charge will be significantly higher. All of the above might sound terribly complicated, but don’t panic! If you are unsure about anything or have any questions at all please just call the Chaletline team on 01822 617761. Our team is extremely experienced and will provide you with the best advice, check the prices, and add the right ski extras to your booking for you.